Not an empty seat was available as the Jackson City Council issued a proclamation on Tuesday, October 10th to recognize the month of October as “Community Planning Month.” Dean Ricardo A. Brown, PhD, of the College of Public Service and interim Chair of the Department of Urban and Regional Planning was present for this ceremonial occasion and accepted the proclamation on behalf of DURP. 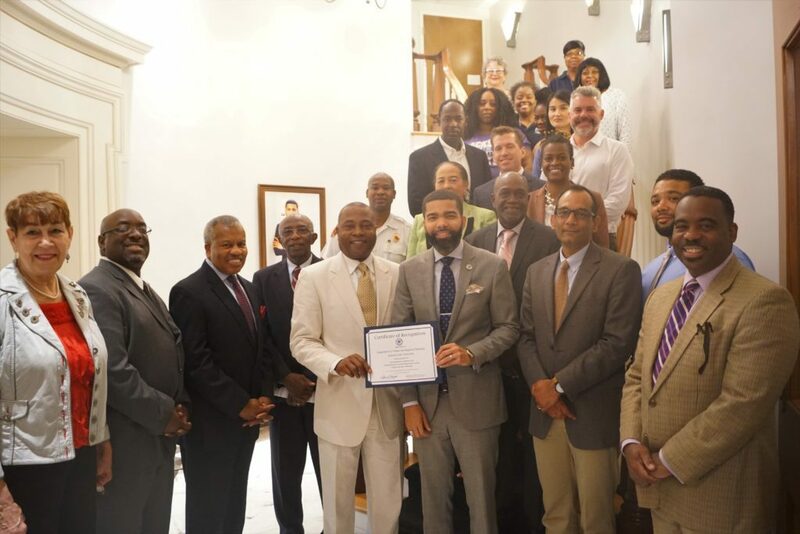 Additionally, current DURP students, alumni, and the City of Jackson’s Planning Department were all witnesses to hear Mayor Chokwe Antar Lumumba offer words of praise regarding the work of Dr. Mukesh Kumar, Planning Director for the City of Jackson along with the city’s Planning Department. Jackson State University is the only “accredited ” planning program in the State of Mississippi which is an honor for the department and the JSU community. Graduates of the program go on to pursue planning careers in city, county, and federal government as well as various entities of the private sector.